can save you a lot of money. With new DOL regulations that affect employers in California and all over the country, overtime generates more than just extra payroll. Even a 15-minute per day swing in employee clock in or out can be a crippling expense. 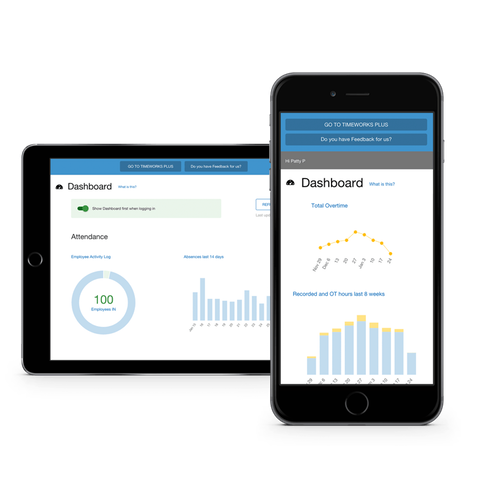 Workforce Management Suite integrates scheduling with time and attendance to help you better handle schedule adherence including restricted clocking times, triggers, and notifications that reveal areas of abuse and liability. Even with standard settings, you can save a considerable amount in hard overtime rates, and avoid penalties and time-and-a-half situations before they occur. Tracking employee time is vital, however this isnt your most significant area of friction when it comes to operating your schedule. Managing last-minute scheduling adjustments including shift swapping, sick time coverage, and overlaps can be a significant waste of time. Workforce Management Suite can save your schedule with integrated tools including TimeWorksPlus and TimeSimplicity for managing time and attendance more effectively. Workforce Management Suite transfers scheduling accountability to your employees to lessen management impact. When employees are absent or tardy, a cascade of costs pile up and create a ripple of expense through your entire company. Workforce Management Suite helps reduce this impact by allowing management to share the accountability for rescheduling with employees. Easy-to-use virtual swapping and pickup boards do away with time-consuming calling frenzies. Automated record keeping contains supporting documentation for disciplinary actions and helps you address chronic employee issues. You’ll enjoy saving time and money, and youll also enjoy a boost in employee retention. Workforce Management Suite helps you manage employees with fewer dilemmas and conflicts while providing improved flexibility and control in time and scheduling. Our integration with payroll services supplies an expanded reliability and even fewer reasons to look at options. One simple move will save you a lot of money while improving time management. The result is improved employee performance and higher employee retention.